Learn about the difference between Impulsive and Compulsive eaters and how to curb these disorders and improve your health. Impulsive eating is an excessive eating disorder that occurs within a span of a few minutes and is associated with something like an activity, a situation, a time or anything that triggers the urge of the individual person to overeat. 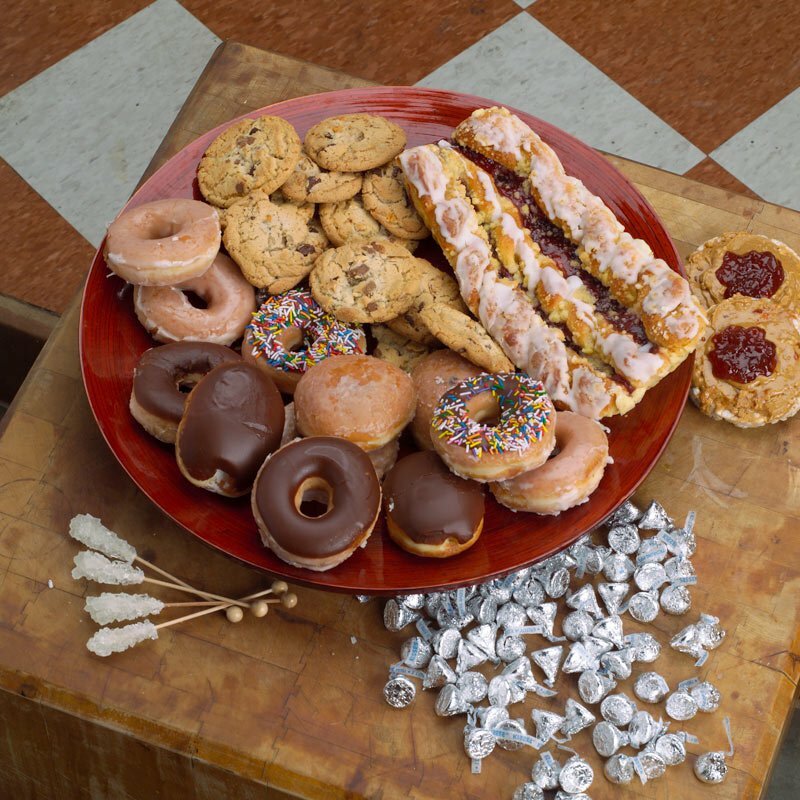 Compulsive overeating is when a person suffers from binge-type eating behaviors. It could be characterized as an "addiction" to food. This is when people may use food to cope with daily stresses and problems in their lives. A person will often use their food and overeating as a way to hide from their emotions, to fill a void or go numb from their feelings. Both eating disorders result in (and can also be triggered by) poor self-esteem and could lead to unwanted weight gain. Have you ever eaten the last homemade chocolate chip cookie just because it was there? Or finished off the pizza, even though it was cold? Most of us have committed these diet sins, and there's a reason: At almost every meal, there are triggers that cause us to overindulge, even when we're no longer hungry. The problem with impulsive eating is that over time, the extra bite (or two or three) at each sitting will really pack on the pounds. If you binge (compulsive overeating) you may get a stomach ache. However, you can't count on your body to send you signals to stop eating when you impulsively overeat and only consume 200 or 300 extra calories a day. Your body doesn't feel upset - it just gets bigger. The problem with impulsive eating is that over time, the extra bite at each sitting will really pack on the pounds. So, as a result, you may put on an extra 10 pounds over the year and not notice it creeping up. This is usually eating for instant gratification without first thinking about the consequences, whether negative or positive. This strong impulse tends to overtake you and you will generally choose the unhealthy food over a healthy alternative. Impulsive eating can be characterized as an instantaneous self-destruction, whereas compulsive eating is more continuous self-destruction. You need to be aware of your impulsive eating behaviors if you are gaining unwanted weight. You must work hard to recognize your behaviors, attitudes and emotions, which subconsciously contribute to the problem. I suggest a mind-body solution to help impulse control. First, you need to stop yourself from your normal immediate impulsive response and re-think your behavior. Battling an impulse can be helped by a distraction. I'm not suggesting watching television, but rather go for a walk, brush your teeth … do something physical to not react and to pull yourself away from the initial impulse to over-consume when you are no longer hungry. Check in with yourself throughout the meal and remind yourself that you can have more later. Don't eat until you're overstuffed. If you outsmart the traps and keep the extra nibbling down to a minimum, you could lose up to 10 pounds a year, without any dieting or exercising. Compulsive overeating, sometimes called food addiction, is often characterized by an obsessive-compulsive relationship with food. If you suffer from a compulsive overeating disorder, you may experience frequent episodes of binge eating or uncontrolled eating. Many individuals feel "out of control." It is common for a person to consume large quantities of food past the point of being comfortably full. The obsession may present itself by the person spending excessive amounts of time and thought devoted to food. An individual often spends too much time secretly planning how or when they can eat or fantasize about eating alone. Bingeing in this way is generally followed by feelings of sadness and guilt. Be careful not to confuse individuals with bulimia and compulsive overeaters. Compulsive overeating, sometimes called food addiction, is often characterized by an obsessive-compulsive relationship with food. Compulsive overeaters do not attempt to compensate for their bingeing with purging behaviors such as vomiting, fasting, diet pills or laxatives. Compulsive overeating usually leads to weight gain and obesity, but not everyone who is obese is also a compulsive overeater. A person who appears to be of normal or average weight can also be affected by these behaviors. Avoid temptation. 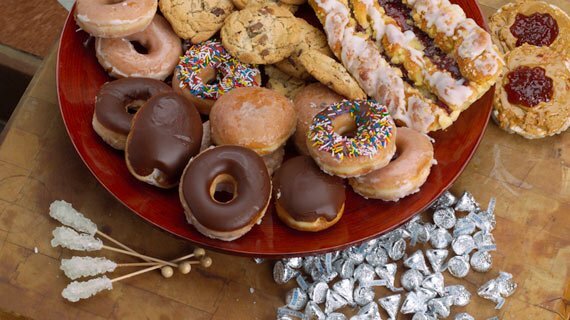 You're much more likely to overeat if you have junk food, desserts and unhealthy snacks in the house. Remove the temptation by moving these foods to the back of your fridge and cabinets, so they are not the first foods you see. Stop dieting. Strict dieting usually involves hunger and deprivation. This may trigger food cravings and the urge to overeat. Instead of restricting foods, focus on eating in moderation. Find nutritious foods that you enjoy and avoid labeling foods as "good" or "bad." Try to eat more small meals throughout the day. Exercise. Not only will exercise help you lose weight and improve your health, but it also helps depression and reduces stress. Exercise is a natural way to boost your mood and can help put a stop to emotional eating. Reduce stress. Learn how to cope with stress in other ways that don't involve food. Compulsive overeating has little to do with hunger. Individuals will often eat when they are not hungry or use food to fill an emotional need. Impulse eaters may take that extra bite because "it is there" and they often deprive themselves of food. Not only will exercise help you lose weight and improve your health, but it also helps depression and reduces stress. Don't try to change your relationship with food overnight. Set small goals and give yourself some positive feedback. If you tell yourself, "I need to add more fruits and vegetables to my diet," it will be more positive than saying, "I need to stop eating candy." Be kind to yourself and don't expect to be perfect. Learn from your experiences and experiment with what works best for you. If you are suffering with compulsive overeating and feel it's getting out of control, you should really seek professional help to stop the unhealthy, weight-gaining, self destructive behavior. Staci Leavitt Kobren, R.D. is a certified, registered dietitian. She is the founder and director of Staci Leavitt Mind and Body. Even though Staci is recognized for her treatment of Eating Disorders (anorexia, bulimia, compulsive binging and yo-yo dieting), her complete staff specializes in weight control,medical diets, behavioral counseling, nutrition, and lifestyle management. Her Nutrition/Therapuetic team of professionals treats adults and children of all ages. Staci has lectured at many high schools, has made many media appearances, including FOX 5, NBC News and countless radio spots. She is one of the national support group leaders for ANAD (a national eating disorder association). Staci is a mommy of three beautiful children. 488 Northern Blvd. Great Neck, N.Y.